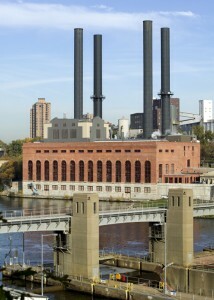 The Southeast Steam Plant has been in service since 1902, when it powered the street cars of Minneapolis. 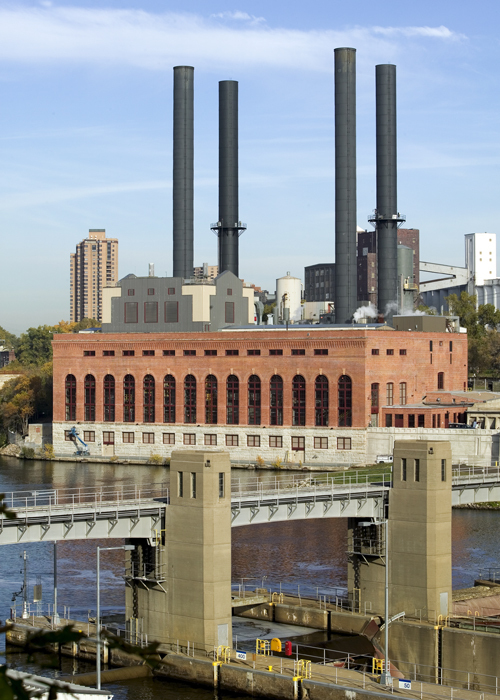 Today it is owned by the University of Minnesota and produces heat for all the buildings on the East and West Bank campuses of the University, as well as Fairview-University Medical Center. Its recent rehabilitation involved stabilizing the structure, restoring the brick façade, and making major site improvements, while preserving its historical character. The steam plant is listed on the National Register of Historic Places. To stabilize the building, MBJ designed steel trusses to brace an 80-foot-tall brick wall, which previously had no reinforcement against wind loads. MBJ also designed structural steel supports for a new curtain wall system on the south face of the building and replaced a failed site wall with a cantilevered retaining wall, supported by a 25-foot-tall caisson. Read more about the Southeast Steam Plant at Wikipedia.